Margot Adler Margot Adler is a NPR correspondent based in NPR's New York Bureau. Her reports can be heard regularly on All Things Considered, Morning Edition and Weekend Edition. 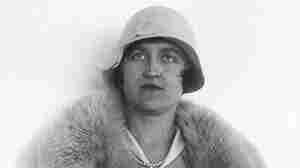 June 17, 2014  Huguette Clark secretly spent her last 20 years in a hospital, even though she wasn't ill — all while her three New York apartments were filled with valuable antiques. April 23, 2014  Some New Yorkers are upset about the changing skyline that rims Central Park. 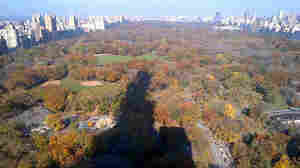 They say that as the sun goes behind some of the city's new tall towers, there's a chilling effect to their shadows. 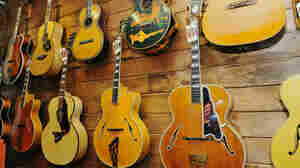 April 1, 2014  More than 260 acoustic guitars are set to be sold via auction at Guernsey's this week, but the prices have thrown collectors and dealers for a loop. March 17, 2014  Beer makers Guinness and Sam Adams withdrew sponsorship from New York and Boston's St. Patrick Day parades, respectively, over the exclusion of openly gay, lesbian and transgender participants. 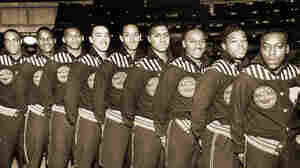 March 15, 2014  The Black Fives were African-American basketball teams that played in America before the NBA was integrated in 1950. Their lost history is making a comeback. March 11, 2014  The proposal to eradicate the birds in New York by 2025 has pitted environmentalists against animal rights activists. 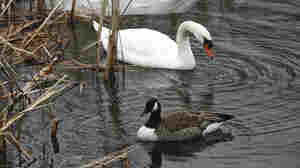 Some call the swans invasive and destructive; opponents say the science is faulty. 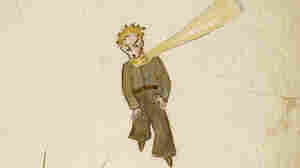 Before He Fell To Earth, 'The Little Prince' Was Born In N.Y.
January 25, 2014  Author Antoine Saint-Exupery was French, but his beloved book, The Little Prince, wasn't written in Paris. Saint-Exupery wrote it in New York, and even included references to the island in his original manuscript. January 24, 2014  In this encore report, we hear about a small museum in an elevator shaft in lower Manhattan. It's only six feet square, and only about three or four people can enter it at a time. The exhibits document the weird and wonderful of modern life, including prison contraband made from bread. (This piece originally aired on Jan. 2, 2014 on All Things Considered). 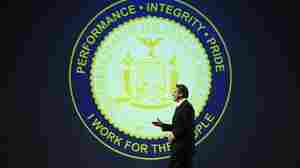 January 19, 2014  New York's program would be the most restrictive in the country and would be limited to 20 hospitals. Critics wonder how Gov. Andrew Cuomo plans to get the marijuana and why hospitals — which must abide by federal law — would want to participate. January 7, 2014  Sub-zero temperatures are breaking records across much of the eastern U.S. 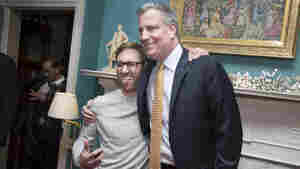 In New York City, a 118-year-old record fell. The cold caused flight delays and cancellations, roads were closed due to blowing snow, and 500 Amtrak passengers spent a night in a train in Central Illinois. The cold also brought special attention to those helping the homeless. January 2, 2014  Housed in an old elevator shaft off a Manhattan alleyway, the Museum's 18 small shelves hold random objects like bootleg Sharpies and prison dice made of bread. Co-creator Josh Safdie says the Museum's roots lie in its founders' outlandish stories. December 17, 2013  Wal-Mart, one of the country's largest corporations, is selling Occupy Wall Street posters online. The company has itself been the target of demonstrations advocating for higher wages. On sale are large, panoramic posters of protesters camped out at Zuccotti Park in New York City, where the movement started in 2011. December 2, 2013  Transportation officials are investigating what caused a Metro-North Railroad passenger train to derail along the Hudson River in New York on Sunday morning. The crash left four dead and injured dozens more.